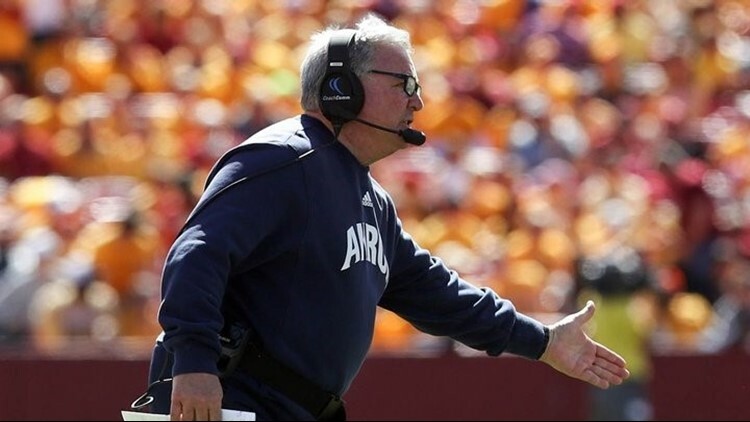 Akron Zips head coach Terry Bowden watches his team plat the Iowa State Cyclones at Jack Trice Stadium. Alex Ramart was just 4 of 15 for 29 yards passing and the three interceptions. YPSILANTI, Mich. (AP) - Eastern Michigan intercepted Akron on three straight possessions, including one returned for a touchdown by Maxx Crosby, and the Eagles became bowl eligible with a 27-7 victory over Akron on Saturday.